Long leaders, accurate casting, and delicate presentations. 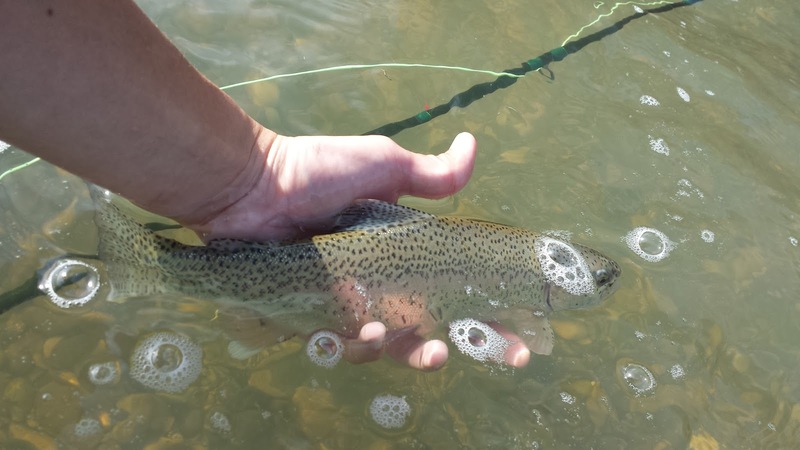 These are the some of the most important elements of technical dry fly fishing. Fish that scrutinize every aspect of your presentation are fish that are worth spending hours trying to catch. The TFO Finesse rod was made for this type of fly fishing. The TFO Finesse is available from 0.5wt to 5wt. I own the 8'9'' 5wt which is the longest and heaviest rod in the series. 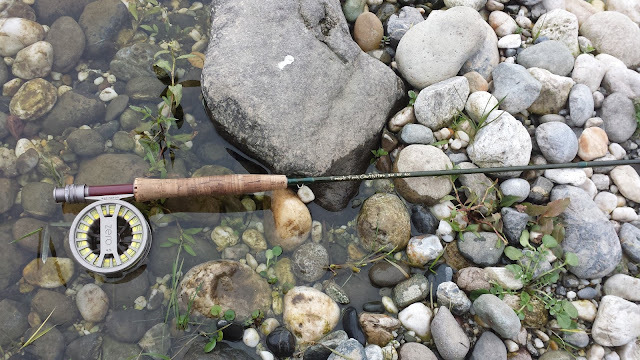 This rod has been my go-to stick for general fly fishing ever since I was gifted it last Christmas. It is a great option for small to medium size rivers and streams. The light soft-flex and a traditional taper makes the Finesse a great choice for both dry fly presentation and light nymphing. The Finesse comes in four pieces and a life-time no-fault warranty. The Finesse comes in a dark olive coloration with blue dots to help align the pieces. The finish is glossy and looks great. The reel seat is your standard aluminum uplocking reel seat with a nice rosewood insert. The Finesse feels very light weighting in at 3.1oz according to TFO. The Finesse has a slow action feel which aids in accuracy and presentation of your fly. The tip of the Finesse is very soft. This helps with setting the hook and fighting tricky fish. 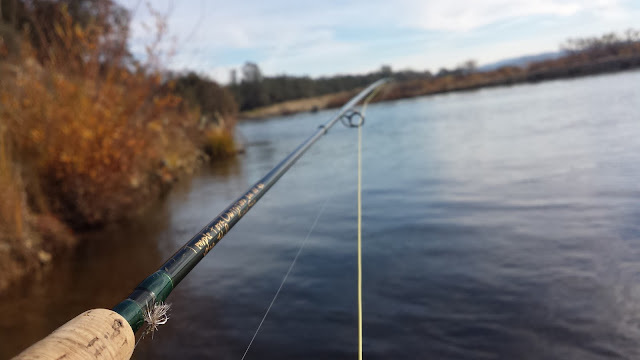 When nymphing or swinging flies the soft tip helps better detect when a fish strikes. The Finesse is a good all-around rod but performs at its best when fishing light set-ups such as dry flies, swinging small flies, and tight-line nymphing. Heavier set-ups such as streamer rigs are a bit harder to fish but manageable with careful presentation. With an increase in accuracy and presentation comes with a lost of distance. Casts beyond thirty feet are achievable but you will lose a lot of control. The length of the rod is a trade-off between distance for accuracy. The light and slow-action Finesse doesn't cut through heavy wind very well so be prepared to lose some accuracy and presentation if fishing in such conditions. Fighting a fish on this rod feels fantastic but there have been a few times where I felt a bit under-gunned. If you happen to hook a nice trout and it bolts downstream you'll have to chase it if you want to land it. From streamer chucking for bass to dry fly fishing for finicky trout, I've done it all with the Finesse. The Finesse is a great rod if you want to throw lighter presentations and longer leaders with accuracy. I enjoy the slow soft-tip action the Finesse rod has to offer because I like to feel my line load when casting and the fish when they fight. Dry fly fishing was the main reason I wanted the Finesse and it was a great choice. I would recommend the 5wt simply because it is more versatile than its lighter cousins. The TFO Finesse is currently priced at $205 which is very reasonable considering it's one of the most affordable slower action rods available in the market. This rod is currently the one I use the most.